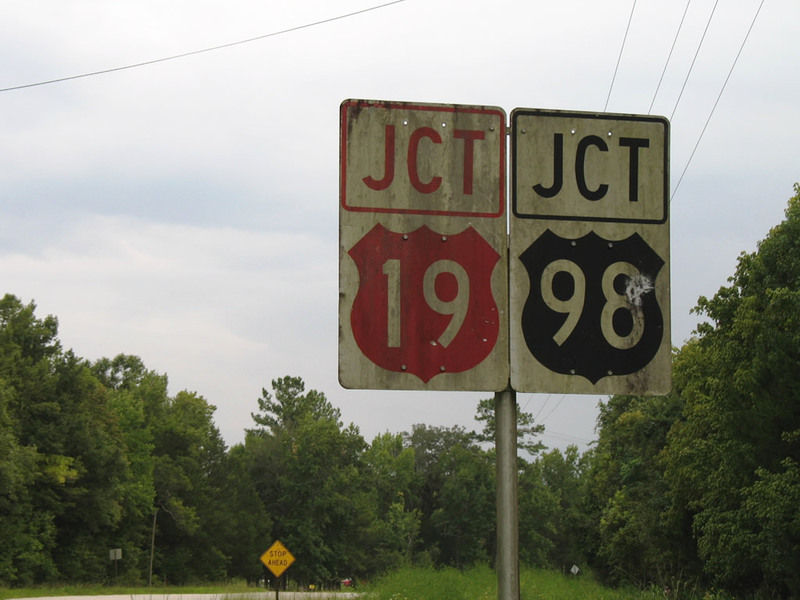 U.S. 19 & 98 shield assembly that was posted along Levy County 326 west at Gulf Hammock. These signs were removed by 2008. Photo by Alex Nitzman, 9/14/2006.